Limited Time - Free Shipping for WINKS! Detailed explanations with output help you interpret results. Understand your data, make it work for you in analysis, business decision making, and data description. A powerful tool that's straightforward to use. Now is the time to think about your next statistics or data analytics course. Over the past 20+ years thousands of students have learned Statistics and Data Analytics using WINKS Statistical Data Analysis from TexaSoft. 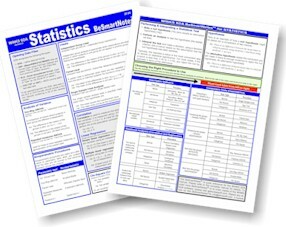 It is designed to make it easier to teach and explain how statistics is used in research. Try it for one semester, and we know you’ll use it in your class again and again. We've listened to statistics instructors for decades to create the software program you want for your students. Try it once...you'll see. "I recommend WINKS to anyone who needs a quick and easy program to perform data analysis." - Dr. Wayne Woodward, Southern Methodist University. "[WINKS is] brilliant to teach students statistics with the null and alternative hypotheses." WINKS SDA is software designed to help you learn and use statistics for your own research. Use it for your next Statistical Analytics and "Big Data" projects. Designed for healthcare, predictive, science, and business analytics. WINKS PROESSIONAL – For higher level instruction and analysis: theses, dissertations, research projects and journal articles. WINKS is an economical, reliable and simple to use statistical analysis tool designed to help students and researchers get the statistical answers they need. WINKS contains a wide range of statistical tests including many handy features not found in programs such as SPSS or SAS -- for example, easy analysis from summary data (as well as from raw data), nonparametric multiple comparisons, APA standard analysis write-ups and more. The newest features include Grubbs Test for outliers and Tukey Test for outliers, Kwikstat Data Generator evaluation edition, multiple comparisons in 2xc and rx2 crosstabulation (Chi-Square) analysis) & Permutations and combinations calculator. Statistical tests such as t-tests (paired t test, independent group t test/unpaired t test), ANOVA, regression, correlation, repeated measures, logistic regression, times series analysis, chi-square, Bland-Altman, Kruskal-Wallis, Mann-Whitney and much more. PROMPT delivery to you when you order now. NOTE: WINKS Student pricing is lower. Click for student pricing. "No programming required ... to perform any analysis in WINKS." Use WINKS Statistical Software in your classroom! WINKS Student Editions help students understand practical statistical data analysis concepts and procedures. WINKS is quick to learn, affordable, and works well in the classroom. Thousands of students have used WINKS. Try it in your classroom and see how it can help you teach statistics. WINKS will run on a Mac when Windows in installed. Go to this link to find out other options.